Although one online store began listing the Windows RT surface at around $1000 for the 32GB model, we now hear that Microsoft [MSFT] will actually be aiming for something far more competitive. The latest is that MS is now wanting to price the RT at around $200 for the base model. Remember that both the $1000 price tag (details here) and the $199 price tag (details here) are both just rumours. I personally would like to see Microsoft being highly competitive which means the $199 tag would br great, but this is Microsoft we are talking about here. If anything, they will want to be priced on or at around the iPad, especially with it having a 10.6 inch screen. If you are not sure what the Windows RT tablet is, it is the ARM version of Windows 8 that has been designed to run on tablets. 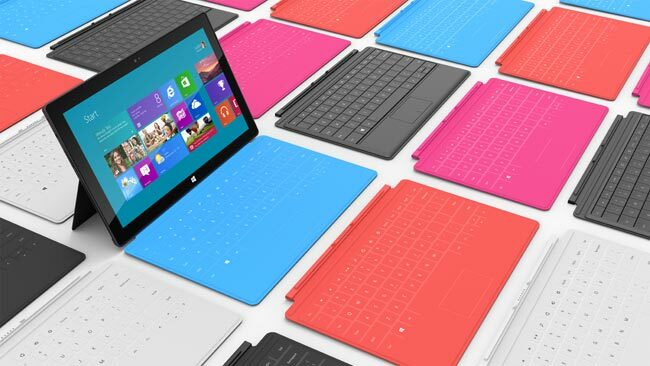 One of the first is a Microsoft branded device called the Microsoft Surface. The Surface comes in two versions with the lower end being the ARM device and the upper end being the Intel version that runs Windows 8 Pro on it. The Surface has been designed from the ground up and includes a fancy magnetic keyboard that has a touch-pad and is extremely slim. This wraps around to cover the screen or can be moved to the back of the device or can be used to make the Surface work like a laptop. MS has thought things through with the Surface and many news reports have been impressed with what the device can do. As for release dates, the RT version will launch on Aug 26 (I assume official pricing will be made available within the next week or so). The Pro version will be launching 3 months after which puts it around November, just in time for the Christmas season.